From historic hotels and inns to charming lodges and bed & breakfasts, couples looking for a quick weekend getaway in Maryland have some great options. Escape to a romantic inn with views of the Chesapeake Bay, visit Baltimore and explore its fascinating history, stay on a farm with a beautiful garden, or watch the ships float along the Delaware Canal. A mile away from Chestertown, a historic arts and entertainment district in Maryland, Brampton Inn is the perfect place to have a memorable Eastern Shore vacation. Ornithology lovers will adore the location, as it is one of the best birding areas in the US. 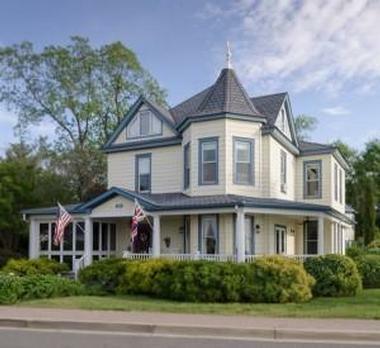 Located in the heart of Downtown Denton on Maryland’s Eastern Shore, Turnbridge Point is a waterfront bed and breakfast perfect for a relaxing escape. Each of the newly-renovated private rooms in the Victorian-era home are private and peaceful, and the B&B has a huge backyard that leads down to the Choptank River. Right in the heart of historic Annapolis, Maryland, Flag House Inn lies amidst the museums, restaurants, shops, and sites for which Annapolis is famed. 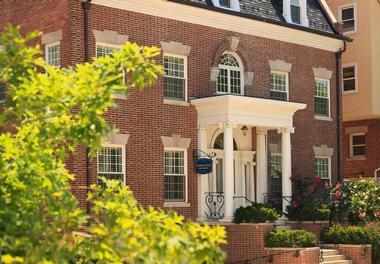 Within walking distance, guests will find the US Naval Academy, the Annapolis waterfront, William Paca House, the Hammond-Harwood and Chase Lloyd Houses, and the Maryland State House, among other attractions. A stay at the inn comes with a full home-cooked breakfast, comfortable king-size beds, free on-site parking, and private bathrooms with each room. The innkeepers can help guests plan their day according to their interests, even suggesting restaurants for a particular palette or providing a booklet with information on nearby museums, tours, and sails. 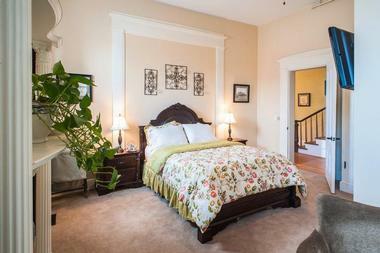 Why visit historic sites in Annapolis when you can stay in one? 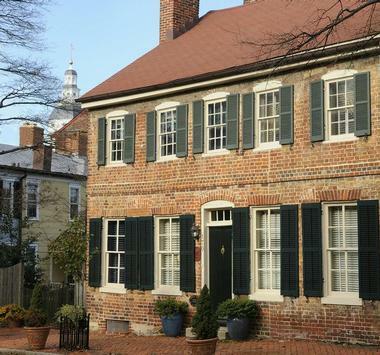 One of the oldest residences in Annapolis, Georgian House is a unique bed and breakfast that predates the American Revolution. Guests visit the historic B&B from around the world and are greeted by a midshipman from the US Naval Academy, a unique feature of the B&B. Another feature that makes the bed and breakfast stand out is that three Marylanders who signed the Declaration of Independence once stayed in the 260-year-old home. Guests will find rooms that ooze old-world charm in décor, but modern-day conveniences in terms of amenities at Georgian House. Flanked by the Choptank River and the Chesapeake Bay, Black Walnut Point Inn is a serene place for guests to go to when searching for an uninterrupted, peaceful getaway. 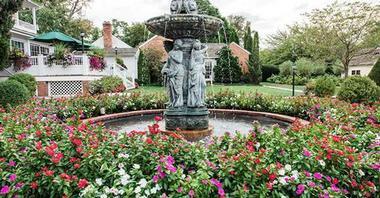 The six-acre estate boasts a beautiful inn and manicured lawn and gardens, and 52 acres of a bird sanctuary surround it. Guests are encouraged to relax with a good book on a hammock or chaise lounge and unwind as the waves and waterfront view take over them. If you’re interested in perfecting the art of doing nothing, activities include lounging by the pool, playing croquet on the great lawn, fishing off the dock, or flying a kite. Nestled at the foothills of the Catoctin Mountains in Taneytown, Maryland, Antrim 1844 Country House Hotel is a magnificent estate built in 1844. The 450-acre land is rich in history, much of which is preserved for guests to experience today. The architecture of the house is sure to take guests to another era; everything from the towering white columns on the grand porch to the 14-foot ceilings in the identical drawing rooms is intact. Guests will have a wonderful time exploring nooks and crannies without ever leaving Antrim, which is now a boutique 40-room country house hotel. Guests can enjoy fine dining in the restaurant, quench their thirst with something from the expansive wine cellar, browse the gift shop, relax in the swimming pool, or play a round of tennis, croquet, horseshoes, or badminton. Located on the edge of the Chesapeake and the Delaware Canal, Ship Watch Inn allows guests to do just that: watch ships. It is one of the only bed and breakfasts in South Chesapeake City and is situated in a great location for guests who are looking to spend their vacation right on the waterfront. 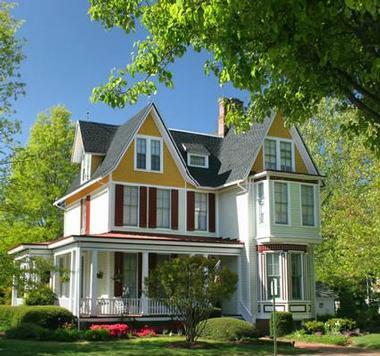 Enjoy the ultimate Chesapeake Bay bed and breakfast experience at Solomons Victorian Inn. Located on the beautiful Solomons Island by the flowing Chesapeake Bay, the inn affords guests a magnificent view of the harbor from every room. Start the day with a delicious three-course European style breakfast from the inn’s airy porch and then enjoy the day lounging at the inn or actively exploring the surrounding area. Yacht building is a famed activity in the area. Additional activities include biking, boating, jogging, or going on a walk. Guests can learn about the history and culture of the surrounding area by visiting the Calvert Marine Museum, the Drum Point Lighthouse, or the J.C. Lore Oyster House, which is the perfect place to better understand the local oyster industry and the role it has played in Solomons Island history. 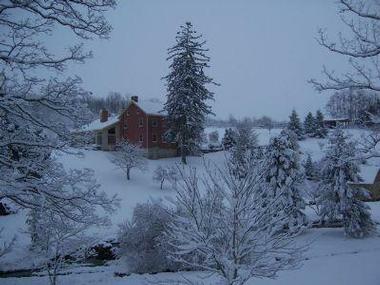 It’s more than the name suggests – Stoney Creek is also an inn and retreat center located on the lush rolling hills of Washington County, Maryland. The historic home spares no comfort and is a wonderful place for guests to unwind, relax, and explore the rich American history that can be found there. Minutes away from the historic towns of Hagerstown, Frederick, Harpers Ferry, and Shepherdstown, the inn boasts many sites and attractions that are fun for the whole family. The bed and breakfast has a warm, personal atmosphere that makes guests feel like they’re home while enjoying the comforts of the inn, including a stunning garden and rich interior and amenities. 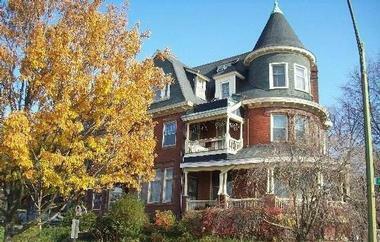 The Frederick Inn Bed & Breakfast is a charming 1897 Colonial Revival mansion in Buckeystown, Maryland, a quaint village 5 miles south of historic downtown Frederick City. The B&B is particularly beautiful in its surroundings, from the original architecture such as the high-ceilinged parlor and expansive veranda to the authentic ambience and décor. Guests can choose from a variety of things to do. There are numerous restaurants and unique shops in the surrounding area. For those who are more adventurous, the Frederick Inn is a great base point for outdoor adventures such as biking along the Chesapeake and Ohio Canal or hiking the trails on Sugarloaf Mountain or other state parks in the area. A historic bed and breakfast in Baltimore, the Wilson House offers a unique getaway for guests. Behind the name of the B&B lies an interesting story: the home-converted-inn was the place William Jennings Bryant made the agreements that gave Woodrow Wilson the presidency in 1912. Guests will feel right at home in the friendly and comfortable atmosphere at Wilson House, which is perfect for a family vacation, business trip, or a romantic getaway for the weekend. 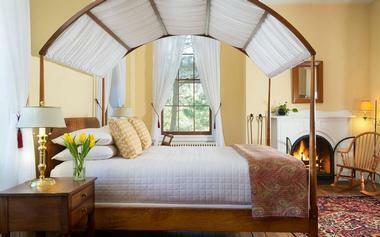 There are over 40 rooms in the inn, which has 12 bedrooms, twin parlors, a library, and a den with a sunroom. The original fittings such as the chandeliers and the eight fireplaces give the B&B a charming authenticity that guests will fall in love with. If you are visiting the area for a dose of history, you may never have to leave the Bruce House Inn. Built in 1840, it is one of the oldest and most historic homes in Cumberland, a city immersed in worthy architecture, which can be seen in the cobblestone streets or the majestic church steeples. The bed and breakfast pays homage to fine homebuilding, as it has survived the Great Flood of 1936, the Civil War, and many other instances over the years. The European-style B&B is a place guests will no doubt enjoy – everything from the graceful curving staircase to the high ceilings ensure an amazing experience. A warm, tranquil, and elegant bed and breakfast in Easton’s Historic District in Maryland, Bishop’s House is located on a gorgeous landscape with many towering trees shading the area dotted with stately homes. Within the house, guests can relax on the porch swing or on a rocker on the wraparound porch of the home, or unwind near the fish pond or fountain in the garden courtyard. There are also drawing rooms with gas log fireplaces and a wide array of books, games, and other forms of amusement available for guests to take advantage of. Guests of Bishop’s House can cycle the beautiful countryside surroundings. If they’re bringing their own bike, they can use secure overnight bicycle storage, and if they are not, the B&B has a complimentary bike for guests to use. Located on five expansive acres of nature trails, gardens, and beautiful woods, Elk Forge is a gorgeous bed and breakfast minutes from Elkton, Newark, and greater Wilmington. Guests can hike or bike through the trails and enjoy nature in the calm surroundings. The countryside inn offers a delightfully comfortable experience. A stay in any of the 14 luxurious rooms includes breakfast, private bathrooms, an in-room fireplace, comfortable mattresses, free high-speed internet, lush robes, and access to the outdoor hot tub. 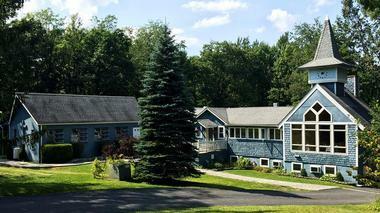 Elk Forge doubles as an on-site day spa that has various massages and body treatments on the menu. Located in Ellicott City, The Wayside Inn is the perfect bed and breakfast, as it serves as the ideal starting point to explore Baltimore, Annapolis, or Washington DC. The historic bed and breakfast, which was built circa 1780, is also perfect for a romantic and relaxing getaway and you don’t even have to leave the walls of the boutique inn. The luxurious oasis is warm and comfortable, and it is the perfect combination of historic charm and modern amenities. Each room has free broadband Wi-Fi, flat screen TVs, large double spa jetted tubs, plush robes, and silky sheets. Breakfast is no small time event as guests are served a multi-course, gourmet breakfast. The perfect fusion of a relaxed environment, luxurious accommodation, and elegant dining, Osprey Point Inn, Restaurant, and Marina is a great place for a waterside getaway. 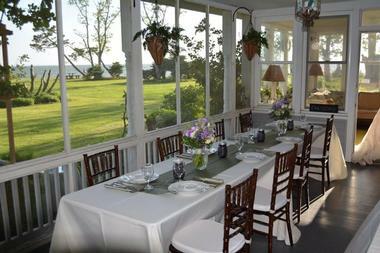 Near the Chesapeake Bay, the inn lies on the shore of Swan Creek in Rock Hall, Maryland. Osprey Point has various accommodation options and amenities such as access to picnic areas and the surrounding grounds, a large swimming pool, and much more. A restaurant that serves contemporary American cuisine is located at the inn. Guests can also head down to the marina for an Eastern Shore boating experience fitted with modern bath house, floating docks, and fun both onboard and ashore. 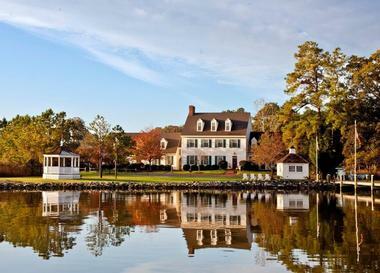 River House Inn is a nationally registered Victorian home located on the banks of the breathtaking Pocomoke River in Snow Hill, Maryland just a 40-minute drive from Ocean City. 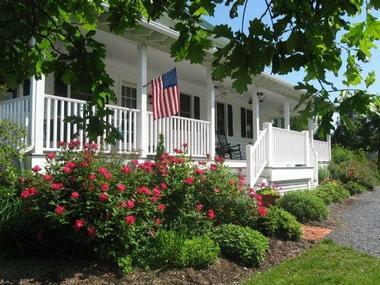 The laidback bed and breakfast offers the perfect getaway to explore and unwind in Maryland’s Eastern Shore. If guests are looking for a more active holiday, they will be pleased to learn the area is filled with activities perfect for nature lovers, including boating, canoeing, relaxing on the beach, exploring wildlife preserves, biking, fishing, or swimming. Other fun things to do include antiquing or playing golf on a beautiful course. River House Inn is nearby Assateague National Seashore, making it a perfect base point for exploration. 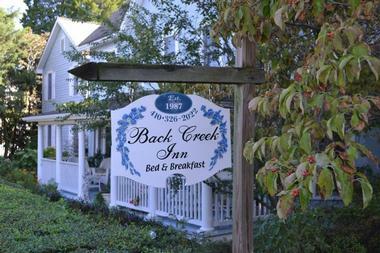 Back Creek Inn is located on the banks of Back Creek, a scenic waterway in southern Maryland that merges with the Chesapeake Bay and the Patuxent River. The B&B has been entertaining guests for over 28 years, and it has been a private residence for over 125 years, bringing together the perfect combination of old-time southern MD with modern conveniences. Guests can ride around the neighborhood on complimentary bicycles or rent a kayak and explore the Chesapeake Bay. Guests can take a short walk to nearby gift shops, an art gallery and marine museum, restaurants, and wineries. 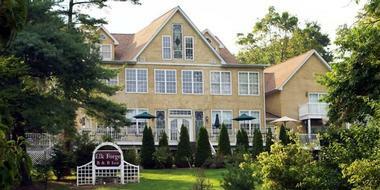 Located on the banks of Deep Creek Lake, Carmel Cove Inn is a hotel like no other. It offers guests a lakeside getaway that is comfortable, pampering, and friendly. Guests can play tennis, fish off the dock, relax by the campfire, borrow a bike for a ride around, play pool or read a book in the great room, or take a canoe out on the lake – all of these activities are complimentary of the inn. There are 10 different rooms with private baths to choose from. All of the rooms are appointed with complimentary Wi-Fi, a flat screen TV, air conditioning, wonderful bath amenities, and ample privacy. 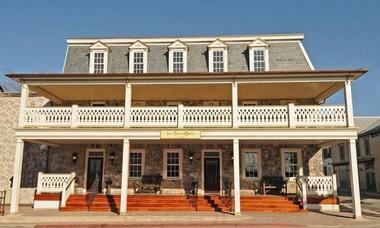 Built in 1906, The Inn at Norwood is a colonial revival home in the heart of historic Sykesville, Maryland. Retaining much of its original charm, the inn is an elegant, warm, and tranquil place where guests can get away from the bustle of their daily lives. 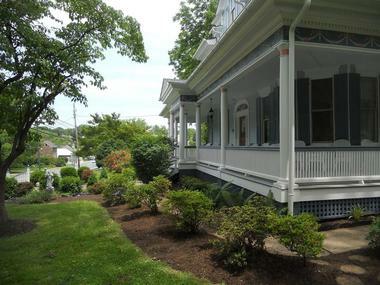 They are invited to relax on the front porch and people watch, as the inn conveniently overlooks the town, or take a walk and experience the hiking and bike trails, museums, antique shops, and festivals that Sykesville is known for. 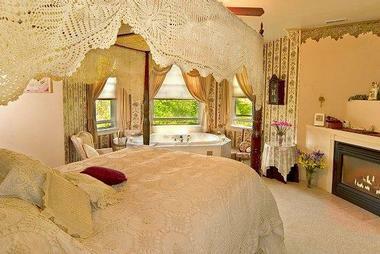 Each guest room has a private bath with Jacuzzi tubs, fireplaces, cable televisions, DVD players, and free Wi-Fi. Nothing says Baltimore like the rows of lovely houses that can on the various streets. 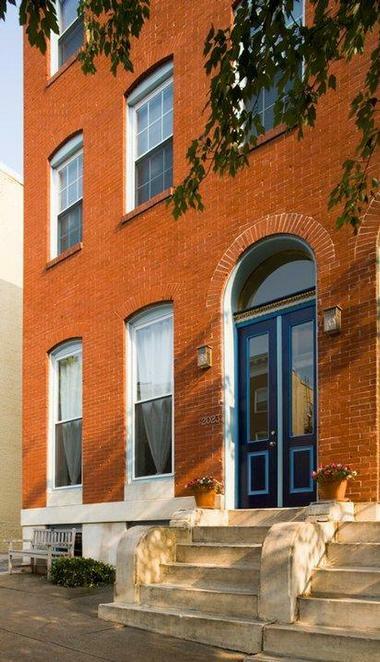 Blue Door on Baltimore is a gorgeous row house in the middle of historic Butcher’s Hill that has been converted to a bed and breakfast. Guests can enjoy the trendy neighborhood restaurants, the unique architecture of the neighborhoods, and the entertainment venues, including Patterson Park and the Waterfront Promenade. It’s also a great location if guests are in Baltimore to experience an Orioles or Ravens game. Many of the innkeeper’s interests serve as perks for guests. For example, orchids from their collection are found in each room. A waterfront home in Tilghman Island, Maryland, The Lazyjack Inn is one of the finest getaway destinations on the Eastern Shore. Guests can delight in spectacular water views from the inn’s sun deck or while enjoying a freshly made gourmet breakfast in the Harbor Room. They can choose from rooms and suites fitted with private baths, a Jacuzzi tub, sitting areas, cathedral ceilings, or a fireplace. Each of the rooms have antique décor and are appointed with personal treasures and original art that the innkeepers have collected over time. The waterfront community is replete with museums and restaurants within walking distance of the inn. A former embassy turned guest house, the Embassy Circle Guest House is a beautifully renovated house with elegant rooms. In the heart of Washington DC, the guest house is located in Dupont Circle, a safe and convenient neighborhood within walking distance of shops, nightlife, restaurants, excursion sites, and the metro station. Within the guest house, you can unwind in the luxurious linens or with the Gilchrest and Soames toiletries that are available in each of the private bathrooms. Convenient amenities such as daily housekeeping, laundry services, complimentary Wi-Fi, and a common guest computer are also available. Guests can indulge in the delicious meals from the Embassy Circle kitchen, which are created with organic local products, and pair that with a bottle of great wine from the expansive wine cellar. 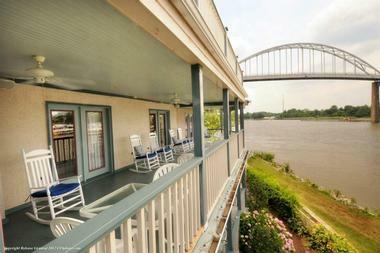 The 19th century Whitehaven Hotel is a charming riverfront hotel in Eastern Shore village. Located on the banks of the Wicomico River, it is a short drive away for guests looking to visit Ocean City, Assateague National Seashore, or Chincoteague Island. For those looking to relax and unwind, the hotel has eight rooms to choose from, each with a private bath. Other room options include access to a screened porch and fireplaces. Complimentary kayaks are available for guests to use during their stay, and guests who are bringing their own boat can use the hotel dock. Having started out as a private home in 1810, the bed and breakfast has a lot of history behind it, and guests can spend hours exploring the house and the surrounding neighborhood. One of the more luxurious inns in Boonsboro, Maryland, Inn BoonsBoro has amazing facilities and amenities, ensuring that guests who come will never have to leave the inn for home-like comfort. You’ll find luxurious sheets, cashmere throws, private bathrooms with heated tile floors and towel racks, and bath amenities by Cedar Ridge Soaps. There is also a personalized scent for each room that includes soap, shampoo, hair conditioner, shower gel, body lotion, and bath salts. Every evening, guests can lounge in the common room and enjoy complimentary wine, fruit, cheese, and crackers. Guests are also given complimentary access to the nearby Fit In Boonsboro for a workout or to relax in the steam room/ sauna. 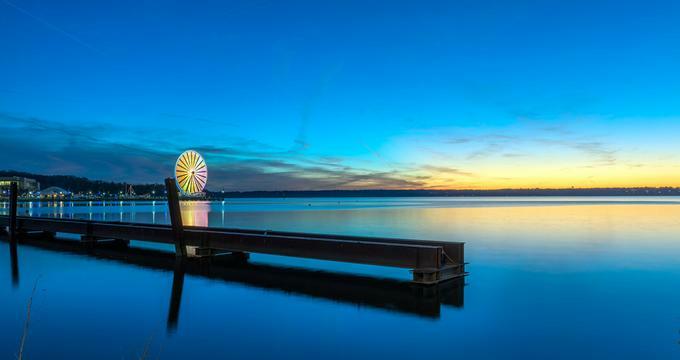 Maryland may be one of the smallest states in the U.S., but it certainly does not lack a long list of attractions for discerning visitors. The abundant waterways of the Potomac River and Chesapeake Bay and the many miles of Atlantic coastline offer unlimited opportunities for water sports and beach activities, while the Blue Ridge Mountains are perfect for hiking and winter sports. The compact state is perfect to explore by car via several scenic routes, and history buffs will enjoy the wealth of historic sites waiting to be discovered. If you are looking for some art and culture, you will find it in abundance in Maryland’s bustling cities. The delightful coastal town of Annapolis is one of the oldest cities in the U.S. (founded in 1649) and was once the Capital of the United States. The bustling and vibrant city you will visit today boasts some of the finest 17th and 18th century architecture in the country, and history buffs can learn all about the early sea-faring days on a guided walking tour of Historic Annapolis. If you are interested in naval history, a visit to the United States Naval Academy is a must, and lovers of the arts will feel right at home visiting the Annapolis Opera, Annapolis Symphony Orchestra, and several centers for the creative arts. The city hosts a number of yacht races, and viewing the beautiful coastline on a boat tour and walking through the old harbor are popular attractions. Laurel is a historic mill town on the Patuxent River situated roughly half way between Baltimore and Washington D.C., offering visitors a good combination of historic and outdoor attractions. You can get your introduction to the town by visiting Laurel Museum or by taking a self-guided walking tour offered by the Laurel Historical Society. Some of the landmarks you can visit include the Phelps Center (the first public high school in the county), the Montpelier Mansion, and the Laurel Train Station (the railway was responsible for putting Laurel on the map).You can watch the Burtonsville Players in action at the Laurel Mill Playhouse, go ice skating at the Gardens Icehouse, or go walking and hiking at the National Wildlife Visitors Center. Aberdeen is situated 30 miles north of Baltimore and is proud to be home to the US Army APG (Aberdeen Proving Ground) and the Ripkin Stadium, home base of the Aberdeen IronBirds. If you are interested in military memorabilia, you can get a day pass to visit the United States Army Ordnance Museum where you will see a great collection of historic tanks from all corners of the globe. There are several baseball fields at Ripkin Stadium where young baseball fans can have the time of their lives, and there is also a playground for younger children. At nearby Harve de Grace, you can visit several nautically themed museums or go hiking, biking, and camping in the Susquehanna State Park. Salisbury is situated near the coast in south-east Maryland and makes a good base for exploring several regional attractions. History buffs can visit the Adkins Historical Museum and Complex where you can see ten lovingly preserved historic buildings, while art lovers might want to attend one of the regular exhibitions or workshops at the Art Institute and Gallery or tour the Ward Museum of Wildfowl Art. Baseball fans can pay a visit to the Eastern Shore Baseball Hall of Fame or catch a game at the Arthur W. Perdue Stadium. In Pemberton Historical Park you can hike a nature trail through forests, wetlands and meadows, do some bird watching, or go on a guided canoe excursion. Frederick is conveniently located less than an hour from Baltimore, Gettysburg, and Washington D.C. and boasts a popular historic downtown where century-old architecture and modern cutting-edge boutiques and restaurants live happily side-by-side. You can enjoy a narrated tour on the historic trolley (first Saturday of the month) or do a self-guided walking tour – maps are available from the Historical Society. 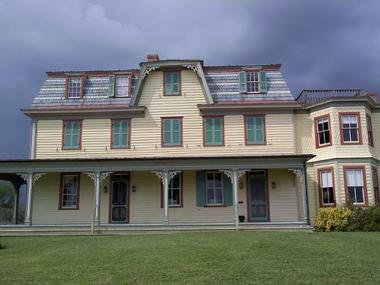 Historic attractions include the Civil War Medicine Museum and Shifferstadt, the oldest city dwelling. Art lovers will find many public art installations dotted around downtown, and you can visit several art centers and galleries – the June Frederick Art Festival is not to be missed. Foodies can visit the Thursday Farmer’s Market, savor wonderful cuisine at several restaurants or treat their taste-buds to a Taste Frederick Food Tour. Situated in Allegany County in west Maryland, the Rocky Gap State Park provides visitors with over 3,000 acres of pristine playgrounds for nature enthusiasts. The park includes a large lake where you can enjoy your favorite water-sports including boating, fishing, canoeing, kayaking, and stand-up paddling – equipment rentals are available on site, and several outfitters offer lessons and guided excursions. Back on land you can partake in a variety of fun activities, including hiking, biking, wildlife watching, and ranger led and interpretive programs at the Nature Center. There are far too many activities for a day trip, so bring along your tent or RV and spend some quality time communing with nature. The Thomas Stone National Historic Site is situated on 322 acres just 30 miles south of Washington D.C., making it an easily-accessible destination where you can combine a bit of hiking and bird-watching with some interesting historical sites. At the Visitor’s Center, you can find out who Thomas Stone was and why his family farm has become a protected historic site, watch a short film, or go on a guided tour of the residence. If you prefer, you can stroll around the residence, stables, and other buildings on your own time or go hiking along the old farm roads. Children can sign up for a Junior Ranger program, and everyone can enjoy the substantial bookstore. If you had lived in Washington D.C. in 1862, you would have found the construction of Fort Foote very reassuring indeed. Today, history buffs can explore the remains of this earth and log structure, which was essential for the protection of Washington during the Civil War, by visiting Fort Foote Park on Rozier’s Bluff. You will still be able to see two of the mighty cannons that were installed – no mean feat in those days as the site stands at an elevation of 100 feet above the surrounding landscape, and each cannon weighed in excess of 25 tons and required over 300 men to move it. The park also offers bird and wildlife watching along a couple of scenic and quiet trails and exceptional views from the top of the bluff. Hagerstown dates back to 1762 and has a lot of stories to tell. You can learn all about the town’s role in several Civil War battles by visiting the Antietam Battlefield – try touring by horse-drawn carriage for a change of pace. Avid historians can also visit the Hagerstown Aviation Museum, Hagerstown Railroad Museum & Engine 202 City Park and the Beaver Creek School Museum. After seeing the historic highlights, you can sample some cultural attractions at the Washington County Arts Council Gallery or the Washington County Museum of Fine Art or attend the Maryland Symphony Orchestra. For a breath of fresh air, you can hike or cycle in The C&O Canal National Historical Park, and then satisfy your appetite at the Hagerstown City Farmer’s Market. A great place to start your visit to Rockville is in the Rockville Town Square, the throbbing heart of the city that is home to over twenty restaurants and various entertainment options. You can stroll around the pleasant pedestrian-friendly square, visit the organic Farmer’s Market, and attend one of the regular events and festivals in summer or have a spin around the skating rink in winter. Outdoor enthusiasts can go paddling, kayaking, and hiking at Lake Needwood or explore the hiking and biking trails in Rockcreek Regional Park and Croydon Creek Nature Center. You can go zip lining at Go Ape Treetop Adventure Course and then round off your day with a concert at the F. Scott Fitzgerald Center. The City of Greenbelt came about as a federal experiment in affordable housing back in 1937 and is currently listed on the Register of Historic Places – when you visit the Greenbelt Museum you can learn how the city progressed to become a thriving suburb of Washington D.C. If you are interested in aviation and space travel, you can visit the College Park Aviation Museum and the NASA Goddard Space Flight Center Visitor Center. The city has a thriving performing arts community, and you can catch one of the many performances at the Greenbelt Arts Center or see a movie at the historic Old Greenbelt Theater. You can go hiking and camping in Greenbelt National Park or take a short Metrorail trip to Washington D.C. to explore all the sights. Cumberland is a quaint historic city in western Maryland that offers a good mix of historic, outdoor, and cultural attractions. History buffs can go on a walking tour of the historic downtown area, which is home to the Queen City Transport Museum, the Alleghany Museum and several art galleries, restaurants, and shops housed in historic buildings. At the Cumberland Theatre and New Embassy Theatre, you can enjoy a concert or end a busy day with an alfresco meal in Baltimore Street, a popular pedestrian thoroughfare. Cumberland is a popular destination with serious cyclists who come here to take on the 150-mile Great Allegheny Passage, and there are good hiking and cycling trails in the Green Ridge State Forest, where you can also go canoeing and kayaking. The Blackwater National Wildlife Refuge was established in 1933 to provide a refuge for migrating sea birds and has since been designated an International Important Bird Area. Here you can explore a pristine natural landscape composed of forest, marsh, and wetlands that attract over 250,000 migrating water birds each year. You can explore on foot or bike along several trails or take a drive, walk, or cycle along the paved Wildlife Drive, which will lead you to a lookout platform with viewing scopes and a bird hide. Paddlers can take to the water on canoe or kayak along three designated water trails and go fishing and crabbing (in restricted areas). Besides resident and migrating birds, the refuge is also home to turkeys, deer, turtles and many other animals. Visitors to the lovely coastal town of Annapolis should make a point of spending a few hours enjoying Quiet Waters Park, a tranquil 340-acre recreational area situated along the shores of South River and Chesapeake Bay. It’s a good idea to start out at the Visitor’s Center, which has three art galleries showcasing the work of prominent local artists. You can go hiking, biking, or jogging along six miles of paved trails, visit the lovely formal gardens, and have some fun on the water – Peddle or Paddle will rent you a canoe, kayak or stand-up paddleboard, and lessons are available. There is a playground for younger children, and in winter you can go skating on the outdoor ice rink. Located near Fort Washington, the Piscataway Park is an ideal family-friendly green space where you can go hiking or fishing and enjoy nature at its best. Hikers can enjoy the 3-mile Accokeek Farms at Piscataway Park Trail, which meanders through attractive wildflower meadows, past several eco-farming areas, and along the Potomac River. At the starting point of the trail, you will find the Colonial Farm, a living museum showcasing pre-American Revolution farming methods, where children can pet some farm animals. If you would like to explore the waterways by boat, there is a launch site for small boats at Farmington Landing Site and a jetty for fishing. You can do some wildlife watching and photography along the boardwalk over the marsh area. Chesapeake City nestles along the banks of the famous C&D Canal that links Chesapeake Bay to Delaware Bay, and it is widely considered to be one of the prettiest small towns in Maryland. In addition to enjoying the beautiful waterside location, visitors can tour the C&D Canal Museum to learn how the canal was hand-dug by 2000 men and is now one of the busiest commercial waterways in the world. You can go walking, hiking, biking, or running along the Ben Cardin C&D trail (which meanders along the waterways for 17 miles), tour stately Mount Harmon Plantation, visit the Painted Sky Alpaca Farm and Fiber Mill, explore Turkey Point Lighthouse, and attend free Sunday evening concerts at Pell Gardens. Assateague Island is a 37-mile long barrier island off the coasts of Maryland and Virginia that provides an ideal recreational area for nature lovers. You can bring along your tent or RV and spend a few days getting back to nature on the very edge of the continent. Hiking and biking are great ways to explore Assateague Island and several trails are available. To learn all about the flora and fauna of the island, you can join ranger-led programs, and there are 12 miles of beach where over-sand vehicles are permitted. Other popular activities include canoeing and kayaking (experienced paddlers can explore the perimeter of the island and camp overnight in back-country campsites), fishing, crabbing, clamming, shell collecting, swimming, and surfing. Located just nine miles north of Oakland the Swallow Falls State Park is an ideal recreational area where you can get back to nature amid spectacular scenery, which includes rivers, gorges, and waterfalls. You can hike along the one and a quarter mile trail to see the Swallow Falls and the taller Muddy Creek Falls, which drop 53 feet in a dramatic exhibition of the force of nature. Another longer trail of five and a half miles will take you from Swallow Falls through the Garrett State Forest, and it is also suitable for mountain bikes. You can camp or rent a cabin and spend the evening enjoying toasted marshmallows under the wide open skies or just come for the day and enjoy fishing and picnicking. Fell’s Point is a historic waterfront neighborhood of Baltimore where you can literally step back in time to the 18th and 19th centuries as you stroll between dozens of historic buildings (the entire area is listed on the National Register of Historic Districts). There are several ways for you to explore Fell’s Point – you can hop aboard the Baltimore Water Taxi to see the district from the water and connect to several of Baltimore’s tourist attractions. You can also set off on foot on one of several self-guided walking tours or join a guided Wicked History Pub Tour or even a spooky Baltimore Ghost Tour. The rows of historic buildings now house an array of interesting boutiques, galleries, and restaurants where you can try local craft beers and sea-fresh cuisine. For over 100 years, the C&O Canal provided a vital means of transport for the communities who lived along the Potomac River, and although modern technology has made the canal obsolete as a waterway, it now provides a wonderful recreational avenue for discovering the history and culture of the area. Get all the maps and info you need for your visit at one of the seven visitor’s centers before you set off to explore over 184 miles of hiking and biking paths. Besides hiking the various trails, you can take a seasonal boat tour, go camping, fishing, and horseback riding or enjoy ice skating and sledding in winter. Harmony Hall is a gracious and stately 18th century residence situated on a beautiful 62-acre estate along the banks of the Potomac River in Prince George’s County. The hall was built in 1769, and at one time it formed the epicenter of the tobacco trade in Maryland. Although the hall is not currently open to the public due to restoration work, you can spend a few hours exploring the scenic estate, which is a popular venue for bird and wildlife watching. If you take a walk along a short trail, you will find the remains of an older structure called Want Water or Lyle’s House as well as the remnants of a hand-dug canal that was once used to transport tobacco to the banks of the Potomac River for shipping to England. At the Catoctin Mountain Park in north-central Maryland, you not only get to enjoy a great back-to-nature experience surrounded by wonderful mountain scenery but you can also uncover interesting historic remnants dating back to the early occupation of the region by Native Americans and the later development of the charcoal and iron industries. At the Visitor’s Center, you can get trail maps and information about all the activities available, which include trout fishing in several streams, rock climbing, camping/cabins for overnight stays, and seasonal ranger-led programs for all ages. You can go hiking along several popular trails, which will take you to great overlooks including Chimney Rock, Thurmont Vista, Hog Rock, and Cunningham Falls. St. Clement’s Island is situated in the Potomac River near Colton’s Point and is where the first English colonists landed in Maryland way back in 1634. You can reach the island by private boat (there is a public pier and docking facilities) or take the seasonal water taxi from the St. Cement’s Island Museum on Colton’s Point, where you can watch a short film that explains the history of the island before you set off to explore. The most prominent features of the island are a huge cross that commemorates the landing and a reconstructed lighthouse. Bring along a picnic and enjoy a day of hiking, fishing, paddling and wildlife watching in a tranquil and unusual setting. Picturesque Down’s Park on Chesapeake Bay is at its best in fall when the trees are decked out in a myriad of colors, but regardless of the season, the park is a great recreational destination. You can go hiking along more than 5 miles of trails in the 236-acre park, try your hand at fishing off the pier, practice your basketball skills, or simply relax and enjoy the wonderful views of Chesapeake Bay. The park offers a Junior Naturalist Program in winter where kids can learn all about nature, as well as several other seasonal events. Younger children can have fun at the playground, and four-legged best friends are welcome at the dog beach.